Since much of the United States is currently enduring the cold temps of winter, we’re dreaming of warmer destinations. As we think thoughts about escapes that showcase sunshine and beautiful sandy beaches, it reminded us of inns that are located on tropical islands. Here are a few of our favorites! Situated on the Big Island of Hawaii 1,400 feet above sea level on the slopes of Mount Hualalai, Holualoa Inn in the village of Holualoa features breathtaking views of the beautiful blue Pacific Ocean, 30 lush acres of tropical fruit and flower gardens, 4,300 Kona Coffee trees, a custom-tiled mosaic pool, luxurious guestrooms, rooftop, pool and garden gazebos, open-air lanais and a covered one for relaxing, plus exceptional service with plenty of Aloha Spirit. 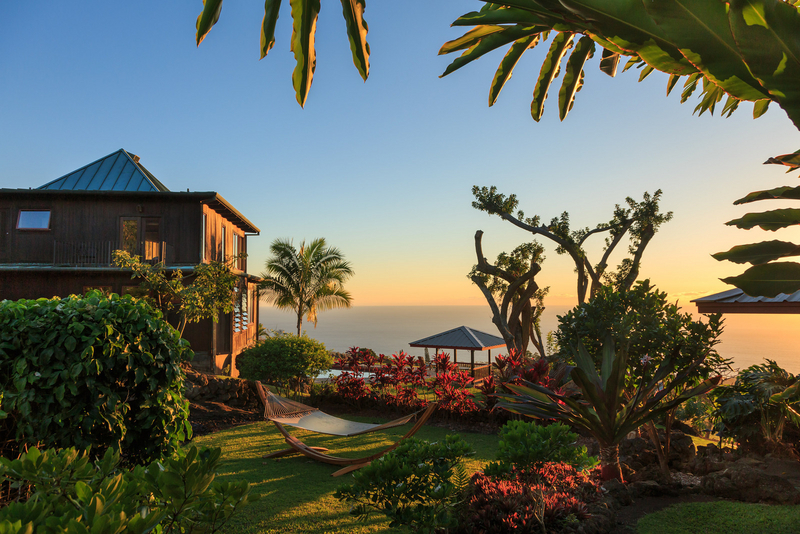 Seamlessly blending into its natural environment, this elegant inn is ideally located in a small town that’s rich in Hawaiian culture and history. This celebrated artist’s village also offers numerous galleries, restaurants, and unique boutique shopping for guests to enjoy. Overlooking the majestic Montego Bay Harbour in Jamaica, the family-run Polkerris Bed & Breakfast in Montego Bay includes two lovely villas located directly across the street from each other. Both are individually designed and decorated with guests in mind, offering plenty of comfort and spectacular views. One has six rooms, and the other villa has four. Just 10-minutes from Montego Bay Airport, this B&B also offers guests two swimming pools onsite, a full hearty breakfast each morning, and top-notch Jamaican hospitality. Popular area attractions, such as Margaritaville, Hip Strip, and Doctor’s Cave Beach, are a convenient walk from the property. Day trips for exploring authentic Jamaica are easily accessible as well. Nestled in the center of the spellbinding surroundings of St. Lucia’s island mountains, Calabash Mountain Villa in Soufriere showcases amazing views of Mt. Gimie (the island’s tallest mountain), the valley, the rainforest’s wildlife and trees, as well as its own gorgeous grounds. This intimate villa has eight rooms complete with the comforts of home, numerous open-air terraces, and common areas where guests can take it all in. The property was designed – and remains – committed to operating with a focus on environmental responsibility, promoting many eco-friendly practices onsite that guests can learn from. The dedicated staff provides exceptional service, attending to all guests’ needs, and the location offers access to numerous fun in the sun activities. Offering travelers a heavenly home-away-from home, Hillcrest Guest House on St. John in the U.S. Virgin Islands provides guests with six individual vacation rental suites, including a large apartment ideal for a family of four. Constructed in 1966, the property is one of the oldest established bed and breakfast hotels on the island. Accommodations feature several impressive amenities, ranging from awe-inspiring ocean views and kitchenettes to air conditioning and cable TV. There is also a screened-in, top-floor lounge. The property is conveniently located just minutes from supermarkets, beaches, restaurants, churches, banks with ATMs, and other area sights such as (but not limited to) Peter Bay, Gallows Point, Battery Hill, and Trunk Bay Beach. About The Author: Stef Schwalb is the Director of Content/Marketing for BnBFinder.com, one of the world’s most comprehensive B&B directories. You can read more about B&Bs and travel at the BnBFinder blog. Follow along on Twitter at @BnBFinder, Facebook, Pinterest and Google+. 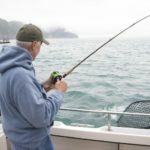 Alaska Fishermen Share Best Spots For Catching The Big One!